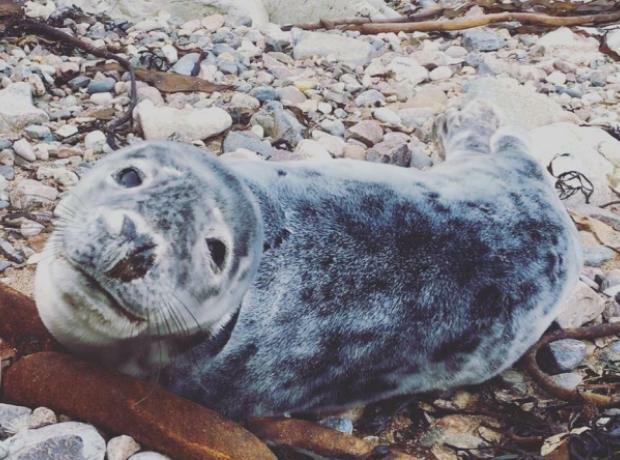 Yesterday the first Channel Island grey seal pup was rescued of 2017. Found at Petit Pot in Jersey the young seal pup at only 18kgs so extremely thin with a number of injuries was rescued by the British Diver Marine Life Rescue volunteers and cared for overnight at New Era Vets in Jersey. This morning the young seal pup was transported with BDMLR Marine Mammal Medic Caroline Stockhill to Guernsey and is now at the GSPCA Wildlife Rehabilitation unit in the seal intensive care room and is next to Sami the seal pup who was rescued in Jersey just after Christmas.